Boolean offers an easy but powerful single-question survey email. With Boolean, it's easier than ever to get tons of feedback. Recipients can respond by clicking on an answer, and marketers can view all responses in a user-friendly, constantly updated dashboard. Boolean is an easy but powerful single-question survey email. 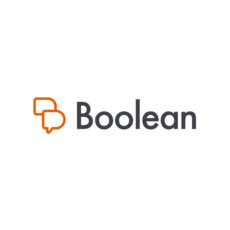 With Boolean, it's easier than ever to get tons of feedback. Recipients can respond by clicking on an answer, and marketers can view all responses in a user-friendly, constantly updated dashboard.